There is something that has happened over the past few years, and it shouldn’t be a surprise. To many unfortunately, especially those in government, the concept seems too simple that they cannot wrap their minds around it – Nigerians are angry. That is one fact. 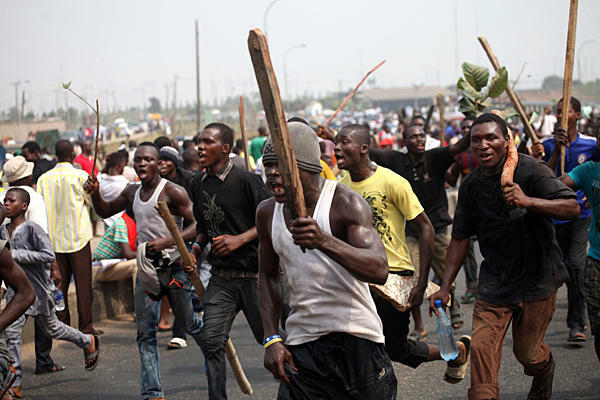 There is another fact: that anger did not begin yesterday, or under President Jonathan’s government, though it has certainly fanned the flames with its lack of direction. Let me explain: Democracy is loud and lavish, and in its atmosphere of relatively unrestrained freedom, it is difficult for any such ‘lucky’ society to even imagine the darkness and misery that defined our lives before Abdulsalami Abubakar handed power over. But those times existed, andNigerians learnt then that nothing good comes from government. Worse than that, Nigerians concluded that the military governments that had brought this hopelessness upon us would never leave – and so we settled in, and got used to it. Fortunately, democracy arrived – popular governance came, and people allowed themselves to hope again. And Nigerians began to expect much from their democracy. To cut a long lament short, it is more than 10 years since then, and those hopes have been dashed – again and again, and again. The result is what we have now: a citizenry that thrives on the fertilizer of despondency. From the Benin-Ore Expressway to the oil subsidy removal shadiness, Nigerians look at democracy as an atmosphere, if you will, that has provided the fertile ground for the corrupt and the selfish to thrive unfettered, milking the nation and its people till they have nothing else to give. Hence, the young people are angry. People are angry on reflex. The nation now hosts a thriving industry of anger. Every single move made by anyone of note or any news item about our country these days riles up the anger. We get angry when we discover that the richest black woman in the world is a Nigerian, we get angry when we discover that the Federal Government has decided to appoint Nuhu Ribadu to help unravel the rot in the oil industry and he accepted to serve, we get angry because Aliko Dangote opened a new cement factory, we get angry because he seeks to provide gainful employment to Nigerian graduates by way of a driver’s academy, we get angry because a pastor invested in quality education, we get angry when we hear Olusegun Obasanjo is an election monitor in Ghana, we get enraged when we hear that a musician earns an honest income by accepting a booking to perform at a government event! The Nigerian civic space is at present defined by an atmosphere of distrust, cynicism, and visceral frustration, unbridled rage. This industry of rage is amplified in an age of social media – where everyone with the capacity for ‘noise’ and a Twitter handle is able to simulate enough anger and get enough Nigerians to join him/her in crying ‘burn them’. 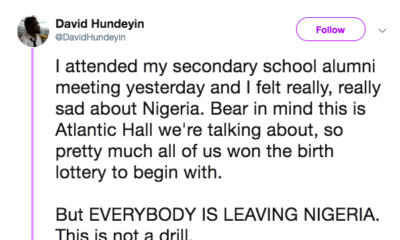 Many Nigerian youth have now officially given up on their own country; believing that no one cares for it, and so they shouldn’t; resigned to watching Nigeria as a series of unfortunate events. This industry of anger produced the rejoicing on the news that a Navy Helicopter carrying former national security advisor, General Patrick Azazi and governor of Kaduna, Patrick Yakowa had exploded and then crashed in the creeks of the Niger Delta. 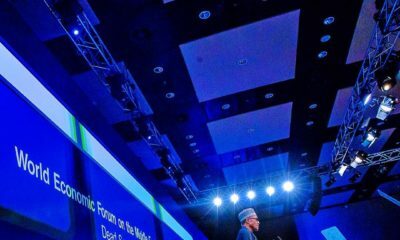 This industry has produced a lack of sympathy for an 82-year-old woman in retirement who was kidnapped from her home because her daughter is the country’s minister of finance, and people who react with a snort when President Jonathan reveals that his mother, in a heartbreaking case of infant mortality, lost eight of her children. The debate has coarsened. Nigerians no longer have a conversation. The unintelligent and unreasonable have taken over the debate, forcefully driving the terms and eventually everybody along with it into anabyss. As I have said, this is understandable – unfortunately, it can also be useless. As history has taught us, even recent history everywhere from the ongoing Egyptian democratic experiment to the endless Democratic-Republican wars in the United States of America, anger is a trigger, but it is not a builder. After all is said and done, after wars are fought and lost, buildings attacked and burnt, people maimed and killed, societies arebuilt (and rebuilt) on the basis of reason. The Christian Bible speaks of anger that leads to sin and the more I think of it, the more I understand. Anger can’t be an end in itself, it shouldn’t even be a means to an end; it should be only the start of a process towards an end. Even worse, because we have enough people willing to exploit this anger for no reason but personal aggrandizement, people whose anger can be false, and whose passions can be bogus, it becomes important, even crucial, as my friend the singer Omawumi will say, that as we dey cry, make we dey see road. The task ahead now, especially for a new generation that wants to achieve results different from those achieved by the Biafra generation or the June 12 generation, is to learn to channel anger into results, the same way a man must channel his sweat into output. The most important step in doing this is to revamp the way we engage; and the way we define the ongoing national conversation. It is, for instance, a tragedy that former legislators and ministers who left office under a cloud of questions (and disgrace) find it easy to rehabilitate their images simply by displaying enough public anger at the government of the day – until they get back in. This is because the best way to be seen as principled and “progressive” in our society now – again understandably given our history of government failure – comes from denouncing everything, everybody, everywhere. Every flag towards reason or balance in our new environment is seen as “selling out”, a broad unproductive term that stifles discourse, delegitimises dissent, and strangles common-sense. It requires boldness in the Nigeria we now live in to move against this terrible tide, but we have to. We have to resist those who refuse to be reasonable and constructive, or who are satisfied with the pulpit to grandstand, to say enough is enough to those amongst us who wish to limit our capacity to influence and to construct. A new generation of young leaders everywhere from the private sector to civil society must find the boldness to resist this fruitless trend. This will involve dis-incentivising loud chest-thumping and meaningless battles. It will also mean standing the risk of staying away from what is popular. As we have learnt, what is popular has not been able to help our country. If it did, we would not be here. So we have to be pro-active. If someone says something outlandish, we should confront that person and the issues. We stand a real danger of allowing our values, our issues, and our collective voice be defined by those who want to burn down the world. Yes, the present cadre of representatives in government are not the ideal, but neither is the apposite that we find at present. We must not run from the frying pan, and into the fire. There has to be a third way. It is entirely possible to have a conversation about issues in a constructive fashion. It is not immediately rewarding, and not instantly gratifying – but as anyone who has created anything knows, building takes time. It requires grit, it requires direction, and it demands commitment. That is the next stage of our engagement with the only country we have. Because it will also not be enough to withstand the tide of the destructive, but we will also need to evolve a plan to be constructive, as I will outline over the next few weeks. Another friend, Aziza Uko has told me, “Young Nigeria will end up staring into the abyss and all the abyss can do is stare back,” and this should worry any thinking Nigeria. A new generation of young leaders who are terribly worried about our country and feel a burden to actually make a difference away fromempty clichés and patriotism have an urgent duty: we will have to differentiate between those who want to build and those who want to burn down. We will have to join the builders. 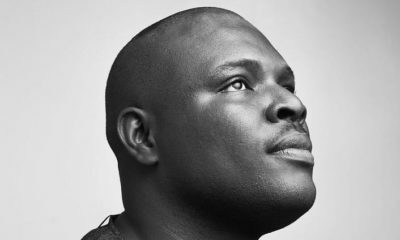 Chude Jideonwo is editor-in-chief of Y!, including Y! Magazine, Y! TV & YNaija.com. NewLeadership is a twice-weekly, 12-week project to inspire action from a new generation of leaders – it ends on March 31. I got motivated to do something by just reading this. I refuse to give up on Nigeria. What can I do? Totally on point. We actually need more options such as the third party he talked about. We need the builders which are me and you with sound minds. I think majority of Nigerians are corrupt, i was speaking to a friend this morning that works with LIRS, and then we got talking and then i asked, i hope you dont join your colleagues to do ojoro, and he replied saying, why not, if theres money, its almost impossible to fine a handful of Nigerians that cant be corruptible, i think there should be sensitization of the importance of being transparent and honest, and this awareness should be targeted at the kids, teaching them as little as always remembering to return the excess after being over paid, not to steal things from thier classmates, not to cheat in Exams. Blaming the Government soley will just be plain hyprocrisy. you can write and keep writting……….the prophets can go on and on and keep prophesying……except there is a blood bath revolution led by the people against this corrupt government officials………there is no hope for nation…………. I agree, it’s time to do what we can where we can with what we have. Now is the time to act, enough time has been spent talking. I just laughed after reading this article, I agree that our leaders have failed us the younger generation,but then again are we better than them? Those who are agitating for revolution what contribution have you made to your immediate community? Men like Gandhi and Martin Luther were not lay about with no Brains seeking to reap where they did not sow, they were highly skilled intellectuals with sound arguments and solutions to solve specific problems in dr communities. The question if we are builders is needful at this point where a lot of young people have this entitlement mind set without having to pay their dues. I am a firm believer in d growth of my Country Nigeria! Our current struggles are only labor pains a glorious nation would be born and I would be part of those who sacrificed to build! Fixing Nigeria is a job that we must do. Perhaps, we could start from changing the way we reason and taking law and order seriously. There is so much IGNORANCE and LAWLESSNESS. Nation building is the job of all!